We are all living in stressful times. World events, both near and far, can leave us feeling anxious, fearful and on edge. When you are also dealing with illness and disability in your family, especially when it's your child, these pressures can sometimes feel too much to bear. There are many non-pharmaceutical ways that can help us retain or regain some sort of inner balance and that can also be enjoyed and benefit our children with SEND. They include mindfulness, meditation, faith, exercise, reflexology and yoga. Then there's Qigong. Qi what? you may say? Qigong is a system of Chinese exercise with a background in Chinese health practices which go back many thousands of years. It is very different from the ordinary Western view of exercise because it involves awareness of posture, breathing, stability, grounding, relaxation, meditation, flow and the belief that a healthy body can heal itself. Traditional Chinese Medicine takes a holistic view and recognises no division between the physical, emotional and mental aspects of each individual. This concept is absent in our Western school system where until a child is identified as having a particular, properly labelled disability, there is little funding for special support available. Nonetheless, it is important to recognise the benefits of a holistic health system that promotes physical, emotional and mental wellbeing. 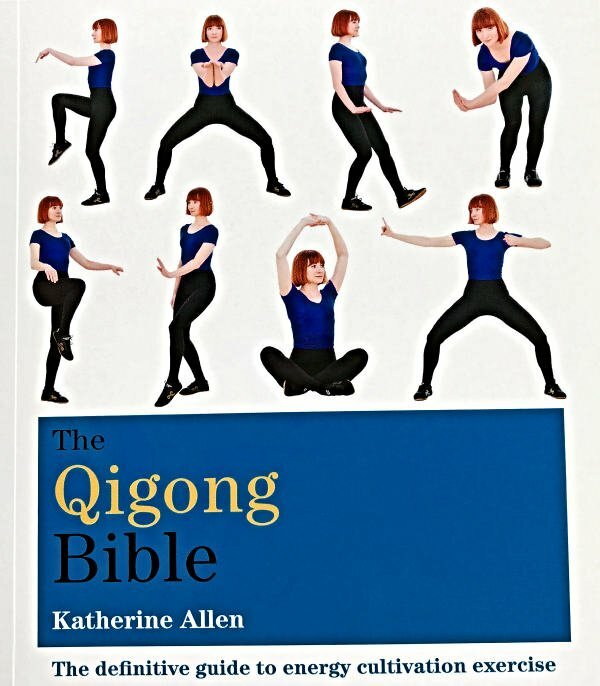 The Qigong bible, explaining how to get started with Qigong. Katherine has used Qigong with many types of people, including carers and those with disabilities. It's a thick paperback with the exercises demonstrated with photographs and words and Katherine explains how it can benefit you and your child. Qigong translates as ‘energy cultivation’, the idea being that we are all capable of gradually creating our own energy over a period of time. The principles involve posture, breathing, movement and flow, all of which go towards balancing the Qi energy in the body. Qi is life energy and this concept will be familiar to anyone who has had an acupuncture treatment, where the acupuncturist places needles along energy channels to rebalance the flow of Qi which allows the body to heal itself. Qigong is suitable for people of all ages and abilities, and can be adapted to suit any group or individual need, making it ideal for families with disabled children. I have taught Qigong to different types of special needs groups over a period of many years. Some groups have had a common disability and other groups have contained a mix of disabilities. I have taught people of all ages from age seven to 90 and also groups of lively schoolchildren. For eight years I taught Qigong to the Acute Ward of a mental institution, as well as the Post Traumatic Stress Disorder Ward, the Addiction Ward and the Young Person’s Secure Unit for 14-18 year olds. Qigong is ideal for children and adults who find it difficult to stay still. The slow flowing movements typical of so many of the moves, soothe the nervous system and calm down the anxiety which can accumulate under the pressure of an expectation to remain still. The soft rhythmic abdominal breathing which accompanies most moves, adds to the soothing process. The fact that Qigong exercises can be adapted for any ability makes it ideal for parents and children as well as groups of children with different needs. If each adaptation is presented as a choice of the version that suits each person best, people are quite happy to be in the same class with everyone doing something in their own special way. Children usually take to Qigong easily, but in this article I would like to also say a few words about support for the caregivers. My experience of teaching and watching others ‘people manage’ tells me there is one quality above all others that a teacher or caregiver should have. Qualities like compassion, understanding, qualifications and intelligence are all important, but right at the top I would place relaxation - especially the ability to relax in a stressful situation. If the teacher or caregiver is not relaxed, this will affect not only her own space and judgement, but the atmosphere around her. Children are especially gifted at picking up moods and tension in adults, and usually respond to it negatively – sometimes unconsciously by becoming tense, worried or withdrawn themselves. Tension is like a brittle stick: it appears strong at first, but under strong stress it breaks. With Qigong, we become like bamboo that can bend in the wind, but stay strong and rooted. The star benefit of Qigong is that it teaches relaxation within movement, while encouraging the faculty of being aware of everything around you. Relaxation in your own quiet secure space is a great restorative and is where most people practise relaxation, but this doesn’t necessarily alter your response when faced with stressful situations. When we are stressed, part of our focus is on our own thoughts and problems. When we are relaxed, we can forget about ourselves thus enabling understanding of the situation and the flow of compassion. Focussing on the person with special needs is only half of the equation. The qualities of the caregiver are equally important, as this can affect the dynamics of every encounter. There is little point in trying to teach children to relax if you’re not relaxed yourself. Also Read: Mindfulness: How can it help with mental health difficulties? The second most important quality I would cite is stability. This involves the ability to remain centred at all times, bringing with it a feeling of security and rootedness. This allows the person to have the courage and commitment to stay present, without the need to brood over or escape into the past or speculate about the future. 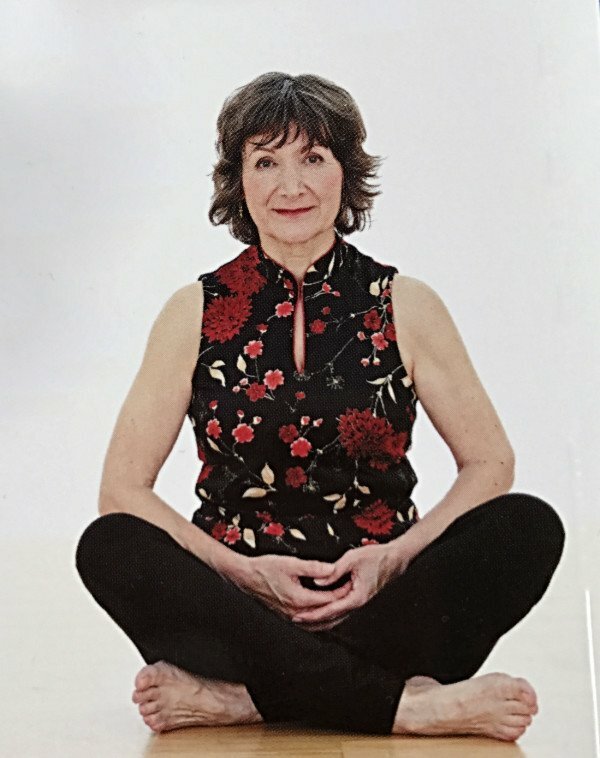 Stability is trained in Qigong with practices like stance holding, connecting with the breath, posture in harmony with gravity, and a calm mindset. The third essential quality is good humour and this accompanies the good energy cultivated by practising Qigong. Once a situation loses its light-heartedness and good energy, tension and disengagement increase. Children like doing things that are fun and enjoyable. Being good-humoured and light-hearted keeps the situation positive. With a positive frame of mind, we are more likely to remain receptive and aware. When the caregiver, teacher or parent is relaxed, centred and positive, everything improves in the relationship with the child. Mindfulness in schools and in the community has been given more attention over the last few years. Qigong contains a strong element of mindfulness in that it enables us to give our complete attention to something in the present moment and be fully aware of the environment and everyone in it without judgment or wishing that something should be other than it is. At the same time it builds the strength, stability and energy we need to be effective.